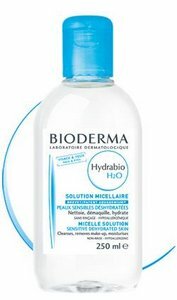 In this final part of her 3 part series, our community member Tejupriya has reviewed Bioderma Sensibio H2O Micelle Solution, Bioderma Sebium H2O and Bioderma Hydrobio H2O as makeup removers for oily and acne prone skin. 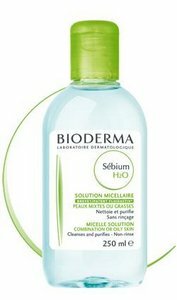 Read why Bioderma Sensibio is one of the most popular makeup removers in the world and where to find it in India. A micelle (pronounced my-cell) solution in layman terms is soapy molecules dispersed in a liquid (mostly water). If this bubbles your curiousity, read more about micelle solutions here. I stumbled upon this product when anamikadeewan mentioned it. Thank you! It is one of the most sought out products in the world. Though rarely, it has been reported to irritate sensitive eyes. To avoid eye irritation, don’t let it get directly into the eyes, which can happen if you drench the cotton pad in it. Price Rs. 540 for 100 ml and Rs. 860 for 250 ml. You can buy it online from vibeforall.in. Another micelle solution makeup remover is Vichy Purete Cleansing Micellar solution(for oily and sensitive skin). It is available in India at beauty stores and online shopping websites. It has all round positive reviews for acne prone skin. Hexylene glycol is mildly comedogenic. Ingredients: Disodium EDTA, Propylene Glycol, Glycerin, Poloxamer 184, Rosa Gallica, Pathenol, Dihydrocholeth-30, Water, Hexylene Glycol, Disodium Cocoamphodiacetate, Polyaminopropyl Biguanide, Parfum. Bioderma has two other variants that are not easily available in India yet. Check out reviews of makeup removers from Maybelline, L’Oreal, Revlon, Street Wear, Colorbar, NYX, Coloressence, Biotique, H2O and Johnson’s & Johnson’s in part 1 and part 2. Clearing Acne Tougher Than Clearing IIT?